On October 25th, Arkham Origins, the latest in the successful series of Batman games from Warner Bros. entertainment will launch. Among the numerous villains making appearances in this latest iteration, the Joker is the one most fans have treated with trepidation. This game will be the first without the incredible voice talent of Mark Hamill as the Joker. Troy Baker has taken on the role; and if his performance at the NYCC is any indication, there is very little to be worried about. Mark Hamill's voice work as the Joker has defined the character for over a decade. No one has captured the playful madness and pure psychotic glee of the Joker quite as well as Hamill has. His sing-song manner and unmistakable laugh send shivers down my spine. I and millions of others were saddened to hear that Hamill was retiring as the Joker. 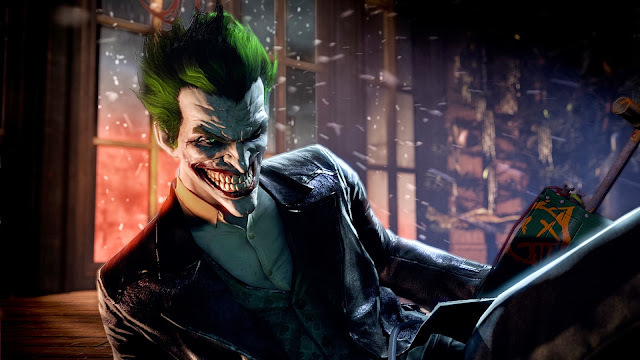 There was a great deal of speculation about how Warner Bros. future Arkham Games would handle the loss of such iconic talent. 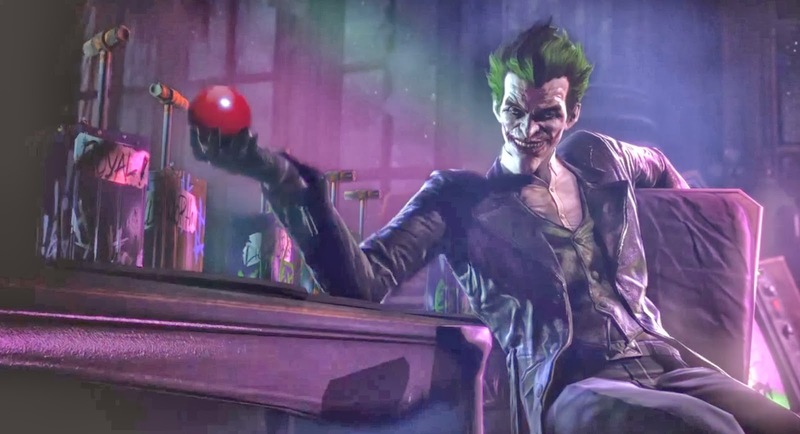 The ending of Arkham City seemed to put all speculation to rest, but then came Arkham Origins and the announcement that the Joker would return. Troy Baker has been a part of some high profile games in the last year; voicing the player characters for Bioshock: Infinite and The Last of Us but he has had a long and successful career going back to Lupin III and Dragonball Z. He's nothing if not a professional, and has treated the role with the utmost respect. His reading of one of the Killing Joke monologues was a perfect choice to assure us that he intends to stay true to Hamill's Joker. It' been difficult to say goodbye to Mark Hamill's Joker. With this latest reveal from NYCC, I do feel certain that the voice of one of my favorite characters is in good hands.